That’s really all I need to say. I could end this blog post right there because if you’ve read Jojo Moyes’ Me Before You, you’ll know how much those two words truly capture everything wonderful about our Literary Hunk of the Month, Will Traynor. I’d prefer to end this blog post right there because I’m still not over Will, and the scar that he’s left on my soul will likely turn me into a blubbering mess the minute I start talking about him. But Will’s the kind of guy who likes to push a girl to her limits, so like Louisa Clark, I’m going to heed his advice and get knocked out of my comfort zone. Here’s the thing about Will Traynor: He’s a bit of a puzzle because he’s got so many qualities that I love and so many qualities that I want to smack him for, and so many qualities that I both love and want to smack him for. He’s surly but kind, rude but thoughtful, a bit of a know-it-all, but not afraid to admit when he’s been an arse. He’s generous, smart, stubborn, and (perhaps my favorite quality of all) extremely quick-witted. His dry sense of humor puckers my heart in all the right places, as does the fact that he appreciates The Terminator as much as he appreciates his French films with subtitles. He’s wonderfully handsome, the best gift-giver imaginable, and, most importantly, he appreciates a unique girl in a quirky outfit. I truly adore Will Traynor because all these parts of him–the good, the bad, the cranky and the beautiful–make him one of the most real, flawed, entirely human leading men to come around in a long time. I truly adore Will Traynor because he’s Will. Yes, that even includes when he’s being bossy. And I hate bossy. To borrow Will’s words (he does have a way with words), he is scored on my heart forever. Will and Lou’s story has stayed with me so very much that I can’t re-read my favorite passages, watch the beautiful film adaptation, or even tell people about how great it is without falling into a deep, somewhat humiliating crying jag. Don’t worry. I still do all of these things anyway. 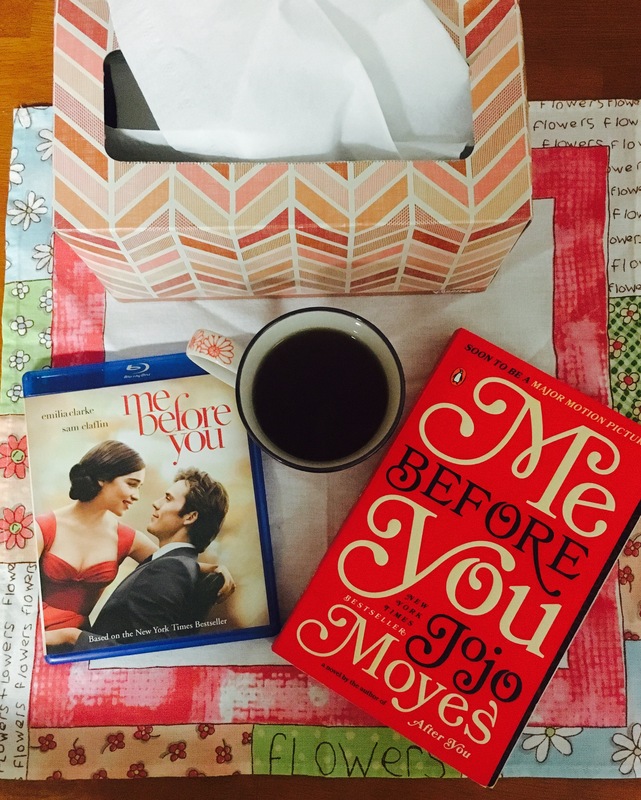 I just have lots of tissues on hand, because Will Traynor is the kind of guy you never quite get over. The perfectly perfect film adaptation (also written by Jojo Moyes) is a can’t-miss! I couldn’t have dreamed of a better Will Traynor than the deliciously heartbreaking Sam Claflin.